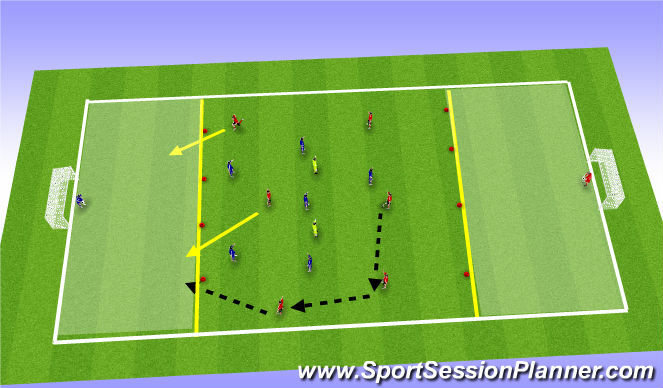 Focus of this passing pattern is the movement off the ball from the wide players (player C) before they receive the ball and the center mids movement (player B). 1) Player A passes to player B. Player B receives the ball with his left foot and has a touch away from pressure into the space. 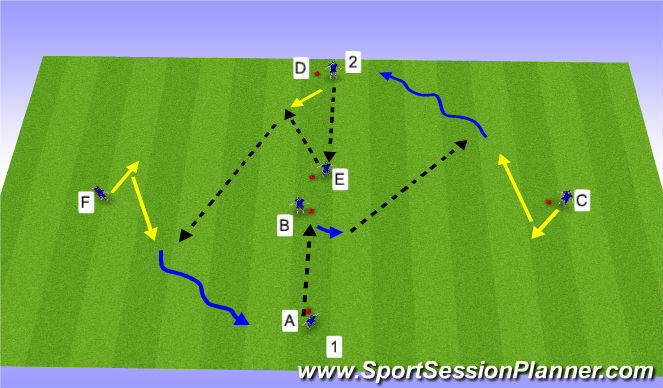 When player B takes his first touch, Player C checks towards the ball, and makes a diagonal run looking for the through ball. 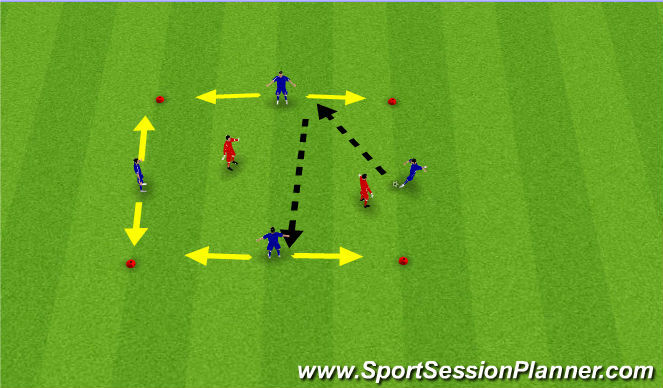 2)Player D passes to Player E. Player E plays the way he faces and lays it off back to player D in the space. The moment player E lays the ball offf, Player F checks towards the ball, and makes a diagonal run into space. 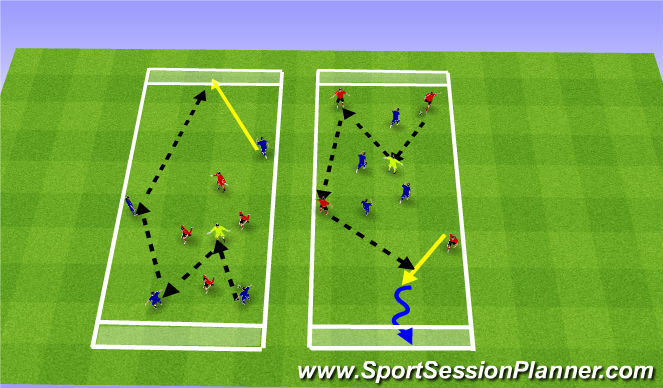 Player D passes to Player F.
Split groups into 4v2 possession game. Reward players for the amount of splits they can get in 2 minutes. switch the 2 defenders in the middle. 4 players can receive a point by 8 passes or splits. Get the players mind set prepared for the next stages looking for splits. Two Grids with 4v4 + 1 directional to end zones. Team must receive pass inside the end zone or dribble into the end zone for goal to count. Team looks to penetrate to opposite side by using the neutral player. Game is split into the 3 zones. Teams are split into 6 v 6 + 2 neutrals with Goalkeepers. Team must receive pass inside the end zone or dribble into the end zone in order to attack the goal. Defending team CAN NOT defend their end zone until the ball has entered that zone from a pass or dribble.